Совместимость: Требуется iOS 10.6.6 или выше. Play through a fun Star Wars galaxy that combines the endless customization of LEGO with the epic story from all six episodes of Star Wars. Before you buy, please expand this description and check the system requirements below. 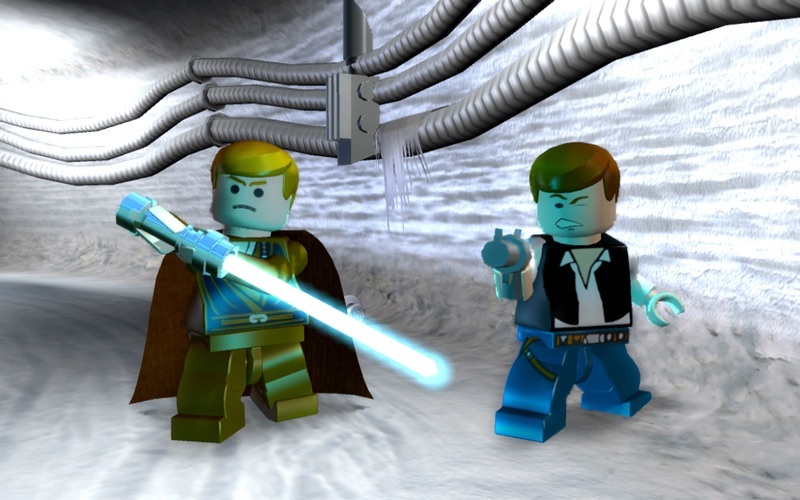 This is the definitive LEGO Star Wars comprising the first two games and expanding them with new characters, enhanced visuals, and more bonus levels than you can shake a lightsaber at. 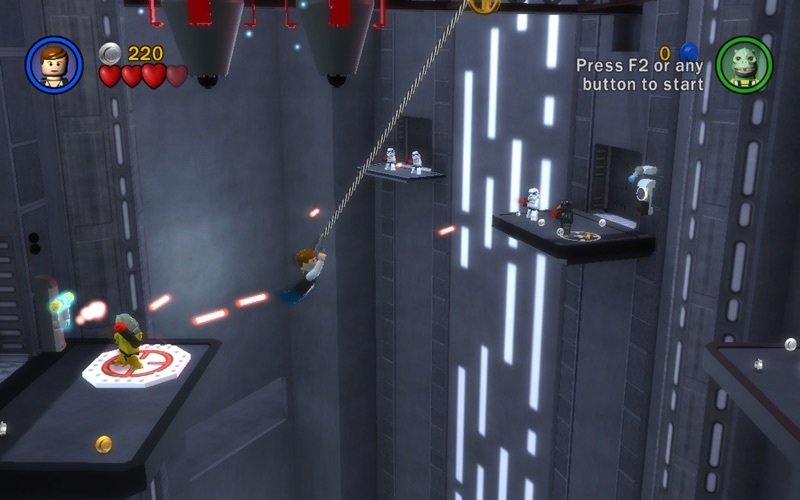 LEGO Star Wars: The Complete Saga is a family-friendly game, which is both funny and challenging. Pick and choose your characters wisely to engage in combat, solve puzzles and work together as a team to defeat the dark side. 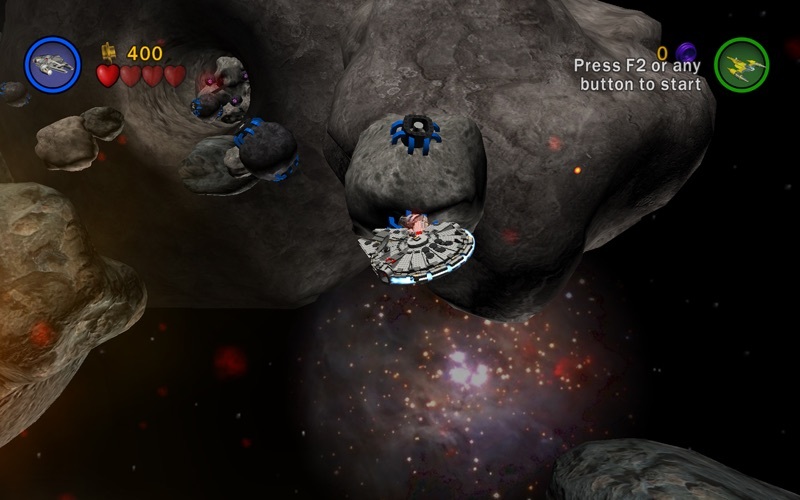 • True co-operative multiplayer lets two players enjoy the fun together! • Unlock more than 160 characters from the Star Wars movies, including 10 characters never seen before in the LEGO Star Wars games. 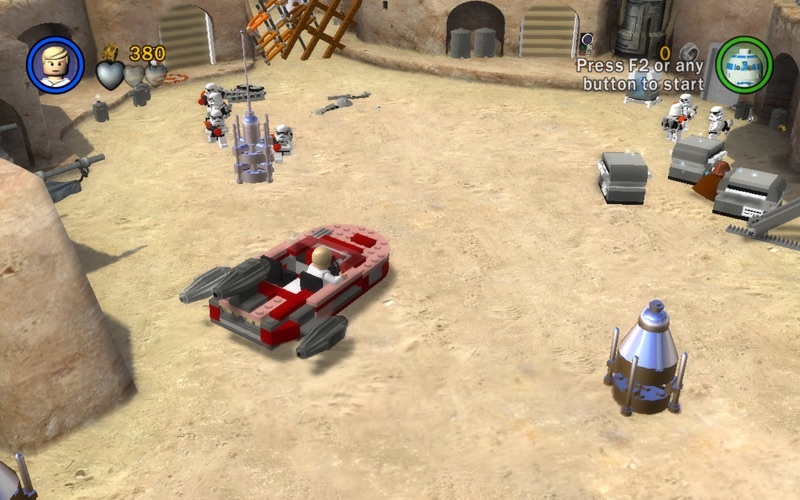 • Updated graphics mean LEGO Star Wars has never looked so good! 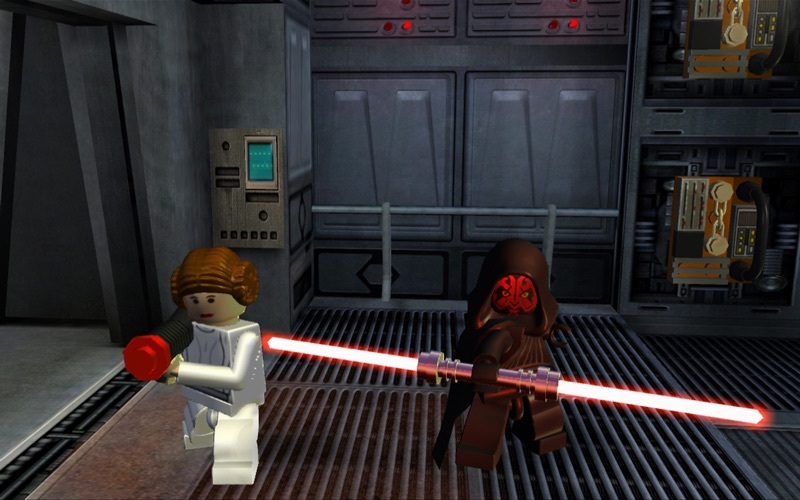 • Lots of surprises and funny moments, trademarks of developer TT Games’ LEGO titles. • Upgraded Character Customizer lets you create cross-Trilogy “mashup” characters like Han Windu or Lando Amidala. • Enhanced Force powers for both Jedi and Sith characters, including “Force Throw” and “Force Push”. • New power-ups scattered throughout all levels of the game. • Brand new Bounty Hunter missions. Important information regarding LEGO Star Wars The Complete Saga: • If you require assistance, please contact our support team at support@feralinteractive.com • In order to run the game with satisfactory performance, your Mac must meet these minimum system requirements: 1.4GHz CPU / 1GB RAM / 128MB graphics card. • Intel GMA graphics cards are not supported. • This game is not currently supported on volumes formatted as Mac OS Extended (Case Sensitive). • Full system requirements are available on the LEGO Star Wars The Complete Saga mini-site at feralinteractive.com/legostarwarssaga. LucasArts and the LucasArts logo are registered trademarks of Lucasfilm Ltd. © 2005-2010 Lucasfilm Entertainment Company Ltd. or Lucasfilm Ltd. and ® or TM as indicated. LEGO, the LEGO Logo and the Minifigure are trademarks of the LEGO Group. © 2005-2010 The LEGO Group. All rights reserved. The ratings icon is a registered trademark of the Entertainment Software Association. Mac and the Mac logo are trademarks of Apple Inc. registered in the U.S. and other countries. Feral and the Feral logo are trademarks of Feral Interactive Ltd.